ILFORD GALERIE Gold Fibre Pearl expands on the already popular and award-winning Gold Fibre Silk and Gold Fibre Gloss range. Gold Fibre Pearl is ideal for high quality black and white printing and offers an exceptional wide gamut for beautiful color reproduction, crisp detail and tonality. 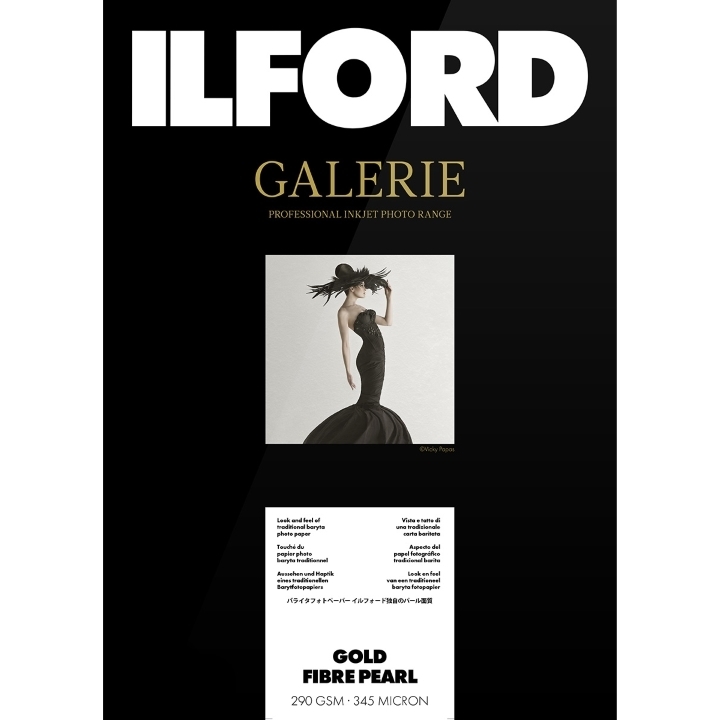 In developing GALERIE Gold Fibre Pearl, ILFORD leverages decades of expertise in inkjet technology to ensure its users can create superior prints with the highest image quality and consistency.